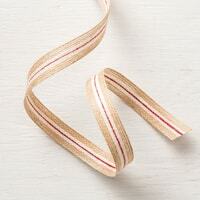 Elegant reversible ribbon. Merry Merlot with a copper sheen on one side, copper with a Merry Merlot sheen on the other side. This is absolutely gorgoues and works well with any season. Rustic burlap ribbon with Cherry Cobbler/white stripe down center. 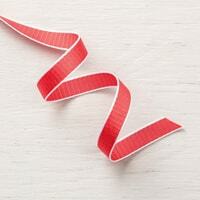 This ribbon is superb for making small gift bows for packaging. 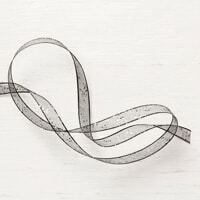 Lightly textured ribbon with white stitched edges. This also makes a great bow for stacks of boxes to be wrapped in. 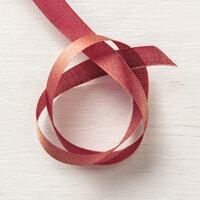 Soft, luxurious ribbon for cards and bows. Need I say more? 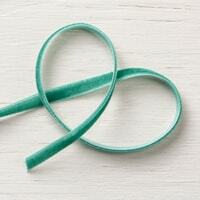 Thick rustic ribbon. 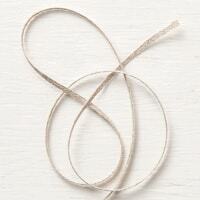 Trim can be unwoven easily if you want a frayed look. Looks great on cards with the trim frayed. his sparkly black ribbon for Halloween or sophisticated projects. It would look great on a new years eve table setting. 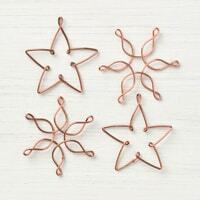 These can be used for gift packaging, gift/note cards or as an ornament on a card. Distressed tin reminiscent of vintage tea tins. 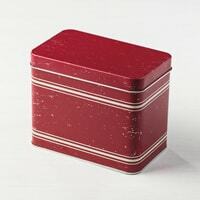 Just the right size for gift packaging—fill with handmade cards, wrapped goodies, or small gifts. Holds 4-1/4" x 5-1/2" (10.8 x 14 cm) cards. 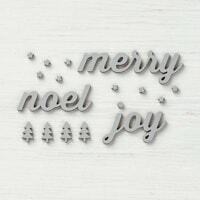 Adorn your cards and gifts with these merry accents. 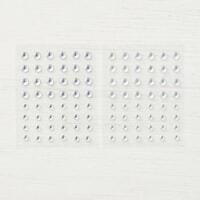 Wood elements with light gray finish; sand lightly for distressed appearance.